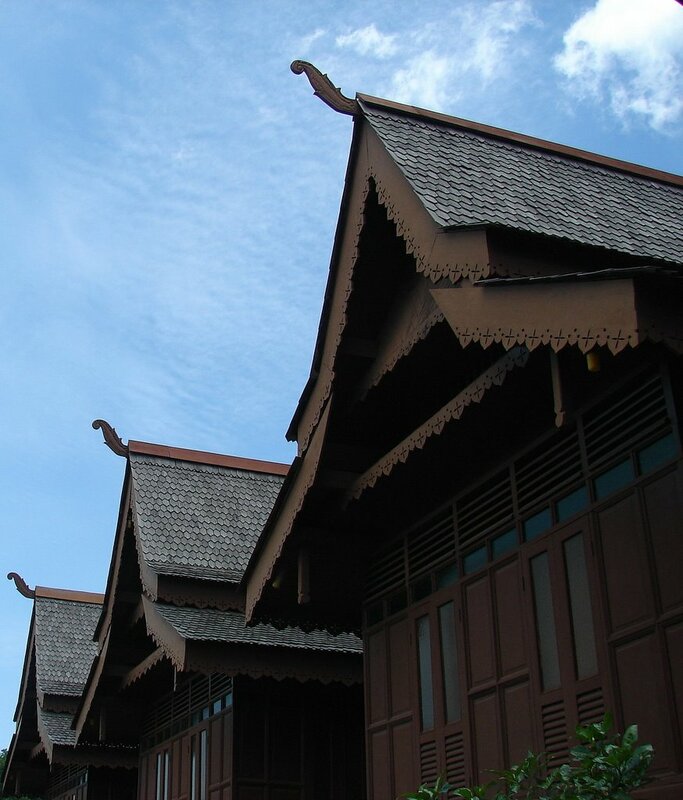 This is the 15th Century palace of Malacca's extinct Sultanates. Despite its complex structure of seven enclosed porches and sharply sloping roofs, not a single nail was used in its construction. Not a single nail? thats amazing! Wonderful image, love the angle..
Not even a single nail, cool! You are my subject ! !